One of the most common salamanders throughout California is about to become even more abundant this month. 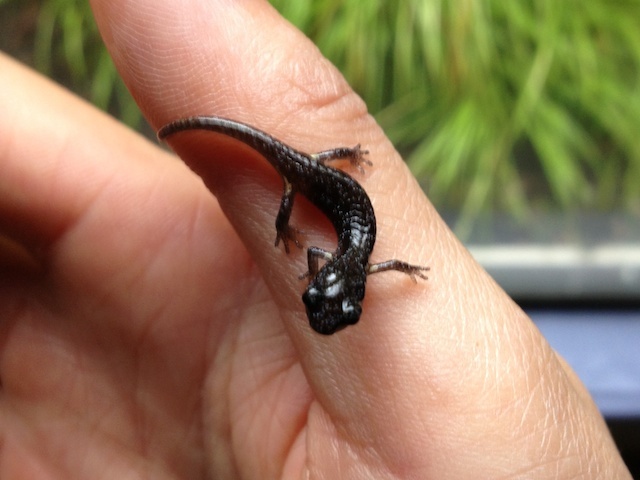 Baby arboreal salamanders (Aneides lugubris) have been hatching during the past few weeks and will be making appearances in backyards, parks and hiking trails. They can be identified by a gray-brown body that is covered in creamy yellow spots. 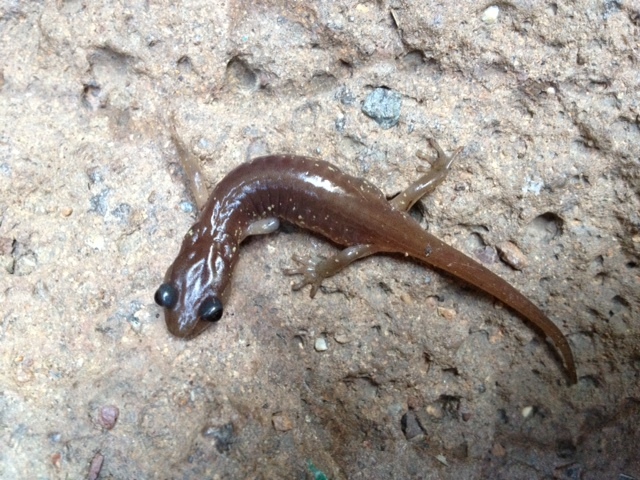 There is no larval stage for this salamander and young emerge from eggs fully-formed. Females can lay roughly 20 eggs, most often in tree cavities. Although some females have been seen guarding their eggs, there is no parental care. Babies and adults are carnivorous, eating a wide array of invertebrates and other salamanders- especially slender salamanders (Batrachoseps attenuatus). A little known fact about arboreal salamanders is that they can vocalize. Western Soundscape Archive has a brief video of a salamander chirping. The name "arboreal" comes from these slimy amphibians being excellent climbers. Individuals have been known to climb 50 feet. Like all amphibians, arboreal salamanders are great indicators of a healthy environment. Amphibian skin is moist and porous, meant for absorbing water. Unfortunately, this porous skin can also absorb heavy metals and toxins such as pesticides, which can be deadly. The presence of healthy arboreal salamanders in a habitat indicates good water and soil quality so it's always a good sign to see them thriving. The rest of the country's 49 states are missing out because arboreal salamanders are endemic to California; they are only found in this state. Despite their small geographic range, they are found in a wide variety of habitats -- from dry costal areas to moist woodlands, so keep an eye out!